Some other body signs indicating nutrient deficiencies can be found in the following articles – Nail Signs, Mouth Signs and Eye Signs. When we receive your results, we look at what your nutrient levels are, and what they should be for optimal health. 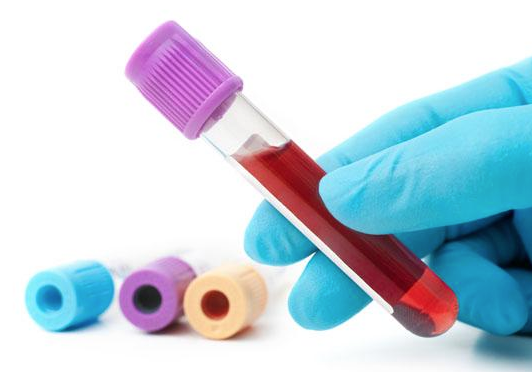 We don’t just look at standard references ranges given by test labs, which is how blood tests are often interpreted. We take notice if you have suboptimal nutrient levels and help you get your health back on track before you become severely deficient in any nutrients. 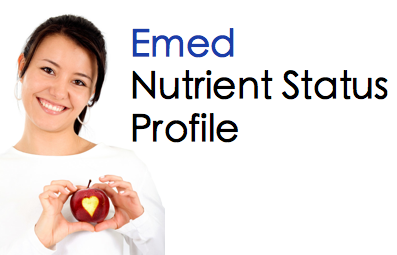 If you already have nutrient deficiencies, we will guide you through restoring nutrient levels safely and effectively. Vitamin B1 – also known as thiamine, Vitamin B1 plays an essential role in maintaining healthy circulation, assists in blood formation, carbohydrate metabolism, and the production of hydrochloric acid (needed for proper digestion). Vitamin B1 also optimises cognitive activity and nerve function, and is needed for proper muscle tone of the intestines, stomach and heart. Additionally, it acts an antioxidant helping to protect the body from the degenerative effects of aging, alcohol consumption and smoking. Vitamin B6 – through its involvement in protein metabolism and cellular growth Vitamin B6 helps to maintain the health of the lymphoid organs (thymus, spleen, and lymph nodes) by the creation of white blood cells that fight infections. Vitamin B6 is also needed for the synthesis of neurotransmitters such as serotonin and dopamine to help regulate mood and normal nerve cell communication. Vitamin B6 works closely with B12 and B9 (folic acid) in the formation of red blood cells and regulation of homocysteine levels – an important process involved in cardiovascular health. Vitamin B12 (serum) – Vitamin B12 is essential for cell replication, particularly red blood cells. It maintains the protective sheath around nerves (myelin), helps to convert food to energy, and plays a critical role in the production of DNA and RNA, the genetic material in cells. Symptoms of a vitamin B12 deficiency include fatigue, depression, numbness and tingling in the extremities caused by nerve damage, muscle weakness, confusion and memory loss. Dementia and pernicious anaemia can also develop; both are reversible if caught early. Folate (red blood cell) – Folic acid is necessary for cell division so is involved in blood cell creation, healing wounds and building muscles. It is vital in DNA and RNA formation, ensuring the correct duplication of cells to avoid cancers and helps to maintain healthy homocysteine levels. It is especially important in foetal development during pregnancy and also helps to produce key chemicals for the brain and nervous system. Iron studies (serum iron, transferrin, transferrin saturation, ferritin) – Iron studies include measures of iron in the blood, the capacity of the blood to transport iron, and the amount of iron stored in the body. They are most often used to help diagnose anaemia (iron deficiency), and differentiate between different types of anaemia. Iron is an essential mineral that has a range of functions in the body, primarily helping to transport oxygen around the body in the form of haemoglobin. Iron also forms part of myoglobin molecules which supplies oxygen to the muscles and is part of many enzymes and immune-system compounds. To find out where your nearest Healthscope Collection Centre is,click here.